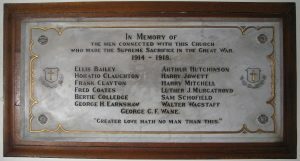 This roll of honour is in the care of Cliffe Castle Museum, Keighley. 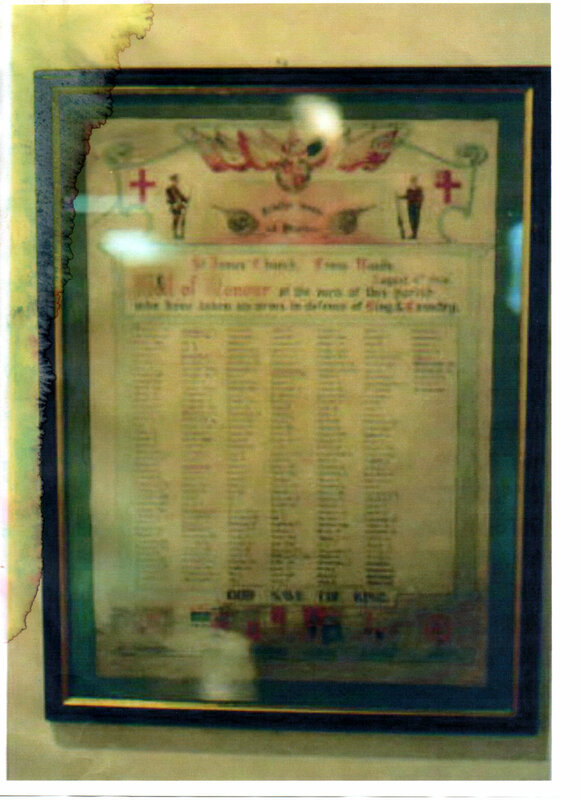 ROLL OF HONOUR OF THE MEN OF THIS PARISH WHO HAVE TAKEN UP ARMS IN DEFENCE OF KING & COUNTRY. 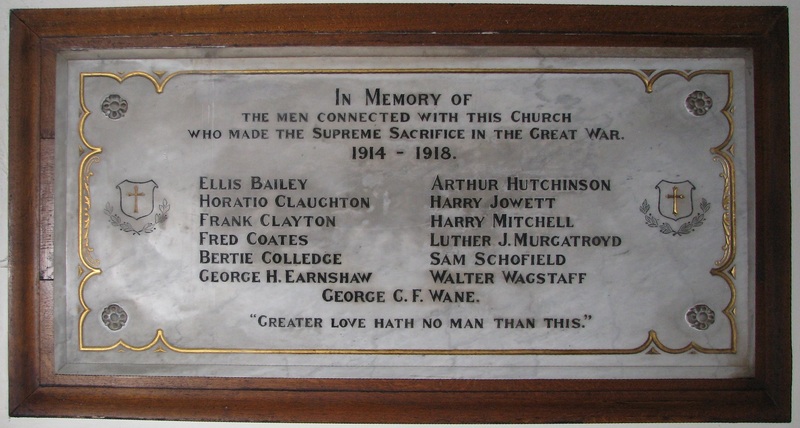 Description: Great War roll of honour. Framed and glazed illuminated roll of honour with hand-written inscription. Flags of the allied nations drawn at the top of the roll with the figures of a soldier and a sailor below them. Crests at the base of the roll. Names listed: 23 who died, 248 who served. There is a Keighley News report, dated 9th September 1994.